testmate is the achievement of years of expert knowledge in testing. 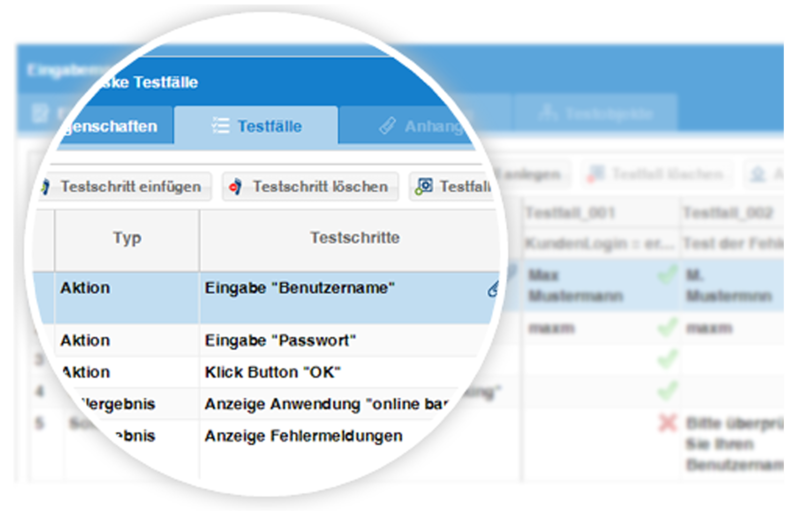 testmate was developed by experienced test managers for test managers and testers. Our goal was to make testmate as user-optimized and intuitive as possible. 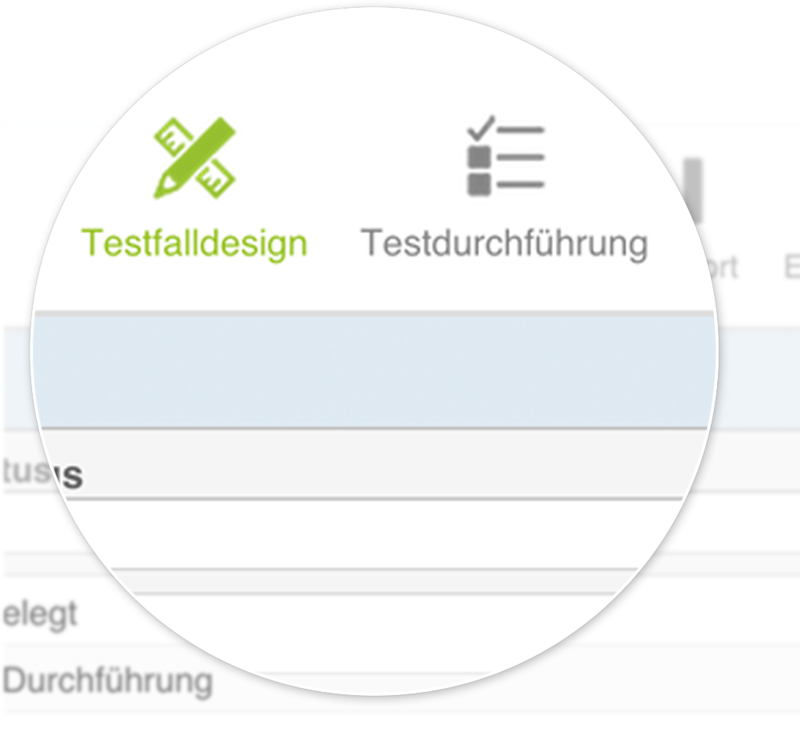 testmate supports your company optimally to set up your testing process – structured right from the beginning. Maximize your test coverage and optimize your test size. testmate is the achievement of years of expert knowledge in testing. 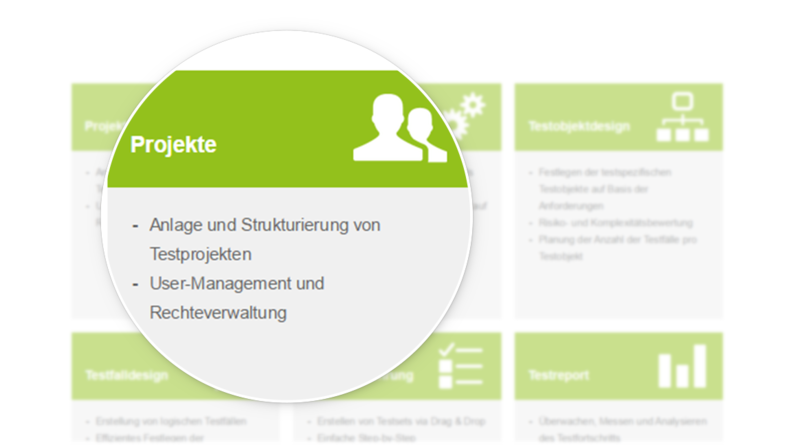 The consequent application of the ISTQB processes in systematic trainings and in huge and extensive consulting projects helped us to develop testmate as an unique and efficient tool for You to easily manage structured test cases. "Start structured right from the beginning"
Comprehensive test management and a detailed planning make the risk controllable. Due to a unique test strategy testmate is supporting you – structured from scratch. During evaluation of test activity results quality management of the requirements plays an essential role. 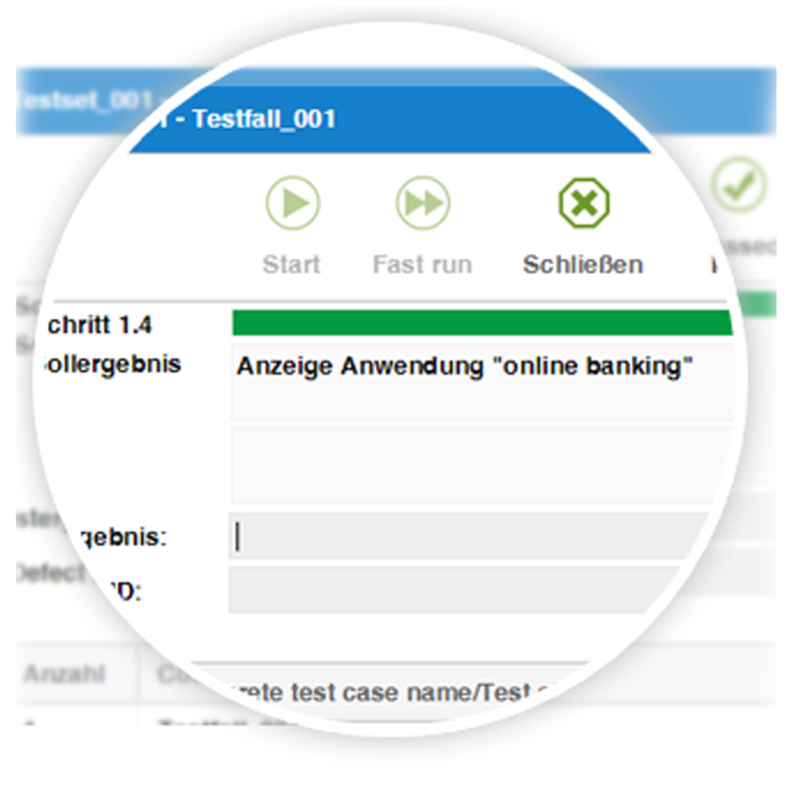 testmate assists in early detection of deviations to secure your software quality. 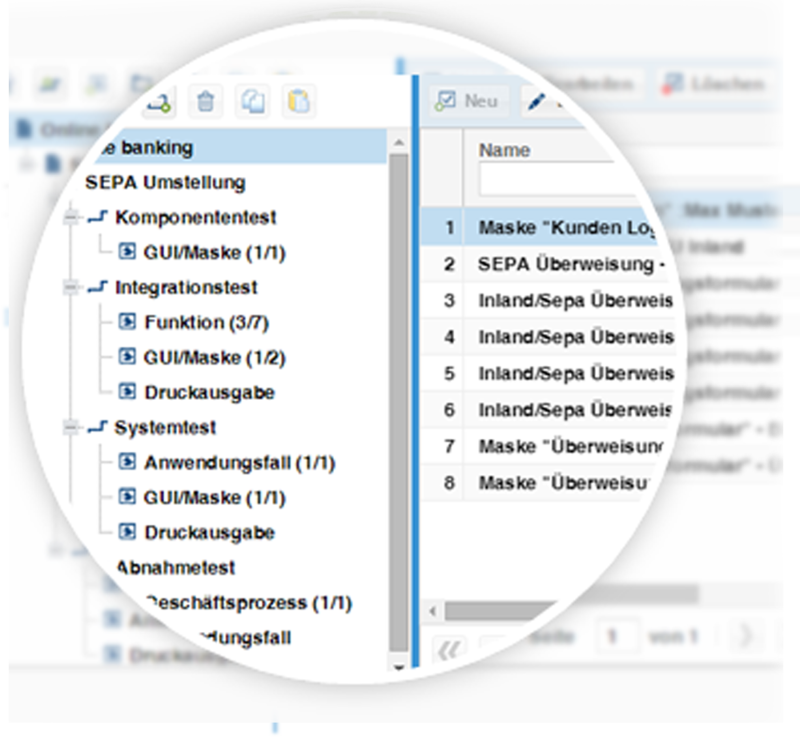 "Less test cases but the right ones"
A structured and methodic approach in test case design is significantly responsable for reaching your test results and to reduce your adaption- and maintenance- effort. testmate helps you to focus on the bottom line of the test. "You always know where you stand"
The tool assisted reporting creates permanent transparency of the test status towards stakeholders of the project. Register here to check out the convincing functionality and intuitive operation! With your registration you agree that your personal data (email, name, phone number) will be electronically saved. This data must only be used to contact you while using testmate services. You can object your agreement anytime via email or in a written form. Please use the ReCaptcha verification! Please agree to data usage. SERVER ERROR: Please try again later or send a message to: info@www.testmate.de. Thank you for registering. We will come back to you with the credentials after an internal validation of your data! If you want to use testmate as a cloud solution – we take care of your software. Your users only need one of the established browsers (IE9+, FF12+, Chrome18+, Safari6+, Opera12+) PC & Mac. We take care of the rest. Your data is strictely seperated from other clients and is hosted encrypted in certified servers in Germany. The integration of Near- or Offshore test centers is possible without any extra network changes. For times of high capacity requirements we are able to provide test resources on-site or remotely. Even if we already take good care of your data and store them safely and separated from other clients, some corporate policies prefer to store their data on their intern systems. You can always run testmate on your own systems and keep the systems and data in-house. We will be pleased to establish an individual offer for your on-premise license and operation and if necessary adaptions to your infrastructure. Please complete the field correctly. To get your individual company license please fill out this form and we will get back to you with a customized offer. Please complete the field correctly! Success! We will process your request and will get back to you soon. Server Error! Please contact our administrator at info@www.testmate.de. Thank you for your order. After revision of your details we will send you your user data. Reviews, experiences, tips, news and articles about testmate. Read what other users think about testmate. We are also interested in your opinion! The best product only reveals it´s full potential if you know how to operate it. We can provide trainings for your test team to get ready for testmate. Even though testmate is already extremely intuitive we experienced that a short introduction can boost productivity enormously and will amortize rapidly. To be able to provide a top-class product you have to know your client`s requirements. testmate is the result of a broad experience with quality- and test-management consulting cases paired with an experienced agile development team, knowing how to create bullet prove software rapidly. We are an independent flexible team focussing our development progress on customer benefit. Highly skilled, motivated and specialized consultants in the quality- and test-management field always focused on the client´s demands. We are specialized instead of trying everything! That´s us, the people behind testmate. Do you have questions? We are here for you.